Shelfies are so yesterday, so we’re saying goodbye to Gmail Shelfie. That said, many of you told us that you loved the concepts of themes and sharing together, so we worked through the night to update this feature into something even better. 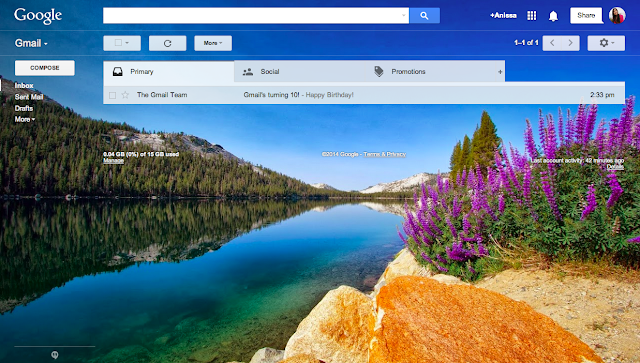 Today, we’re excited to announce that you can now share any custom theme—your favorite vacation spot, pet, family photo or even, yes, a selfie—with friends, loved ones or anyone. 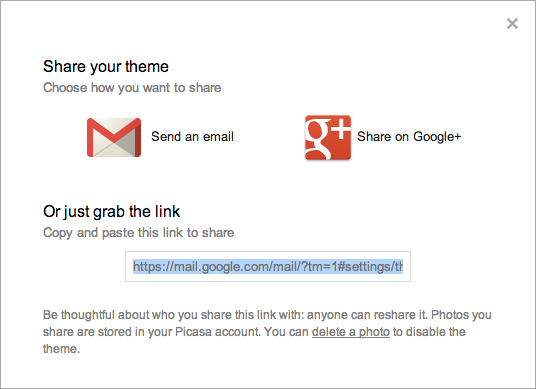 If you’re using a custom theme that you want shared, simply click on “Share your theme” under Themes in Settings.